To appreciate River City Ransom: Underground it’s probably best you know about its predecessor, River City Ransom, which is a beloved NES title with a cult following. A Western-localized version of Downtown Nekketsu Monogatari from Japan, Technos created a long-running series known best as “Kunio-kun” titles given that the lead, Kunio, appears in every game. River City Ransom was the only action brawler in the series to make its way to the States and fans have been pining for another game in the series since the original premiered in 1990. Since then Technos Japan has closed, been reborn as Million, and while Japan has received consistent releases over the past two decades there’s been almost nothing to show for it in the West. That’s when Canadian-based developer Conatus Creative decided to acquire the rights to make a River City Ransom follow-up. The result has finally arrived with River City Ransom: Underground proving that it is possible to make a sequel to a 20-year-old game and do a great job at it. Those who remember playing the original alone or with a friend on the couch will be in for a treat, but if you’re hoping to utilize modern online gaming, this title is still a work in progress. From start to finish the mechanics of River City Ransom: Underground are spot on. 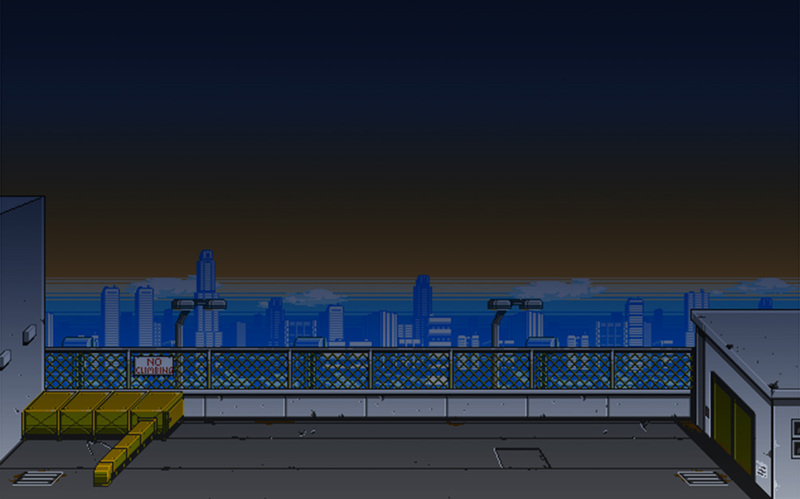 The game acts as a direct sequel to the original and has an appropriate prologue set on re-establishing the two leads, Alex and Ryan, as they confront and defeat Slick on the school rooftop. It’s much akin to the Dracula fight at the beginning of Castlevania: Symphony of the Night that re-hashes the battle from the end of Rondo of Blood. Upon jumping into the present you are greeted with four new protagonists, each one with a distinct fighting style, and off you go. You’re either a fan of the brawler genre – namely Renegade, Double Dragon, and of course River City Ransom – or you’re not, which only bears mentioning because Underground is cut from that cloth. Any criticism weighed against the genre applies to Underground as well, but beyond those caveats I must admit the single player campaign really has none. It’s an ideal follow-up. In many cases, games with the same name – and even the same game ported to various consoles – can be drastically different. This was especially true in the 8-bit era where plenty of popular arcade games were deemed too limited for a boxed release on consoles like the NES. Head to Head takes two particular games and explains the drastic difference between the two that often keep fans of each camp drastically divided. Aside from ports, you can also expect several other types of comparisons such as localization. In 1987 Technos released a spiritual successor to its popular brawler Renegade (Nekketsu Kōha Kunio-kun) known as Double Dragon. It told the story of two brothers, Billy Lee and Jimmy Lee (Hammer and Spike in US arcades), who are fighting the mean streets of the Black Warriors turf to get back Billy’s girlfriend. It released first to arcades and eventually saw a port over to the NES, which drastically changed the game. Chances are if you are an American that played the game in your past, then you remember the NES version. Now that arcade ports of many games we loved on the NES are releasing on services like Xbox Live and Playstation Network, it’s important to know the drastic differences between the two because they are different games. Love ’em or hate ’em, here’s the Head to Head on Double Dragon. Be part of the active discussions, both retro and modern, in the Gaming History 101 communities. Listen to shows live, chat with the hosts in certain sessions, join us! Gaming History 101 Game Club! Each month we play 1-2 games to discuss on the show. To see the current game club title and access our entire game club archive, click here! Click here to help us out! Please note: We are not connected to nor are we part of the "Gaming History 101" channel on YouTube (youtube.com/gaminghistory101) or Twitch (twitch.tv/gaminghistory101). We did not think ahead and he's taken all Gaming History 101 accounts on free sites.